Tuesday, January 16 was the first official rehearsal of the Middle School Drama production The Phantom Tollbooth. 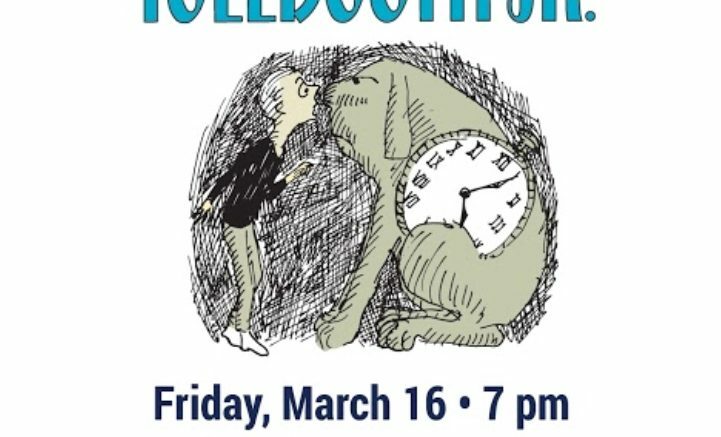 The Phantom Tollbooth was originally a book written by Norton Juster which was then produced into a movie by director Chuck Jones and finally turned into the play the Middle School is doing by Susan Nanus. The plot of the story goes as follows: There is a boy named Milo (played by Alex Rice). Milo wastes his time and pretty much does nothing. That is until a huge box shows up in his room and takes him into the world beyond. There he meets his best friend Tock (played by Dev Gupta). Tock is a watchdog that loves automobile rides. There are two kingdoms inside of the “Land of Wisdom”, Dictionopolis and Digitopolis. On the way to the Kingdom of Dictionopolis the story of Sweet Rhyme (Milan Goyle) and Pure Reason (Gemma Kent) is told. Milo later finds out that the Kingdoms of Dictionopolis and Digitopolis have never lived in harmony since Sweet Rhyme and Pure Reason were banished. Unfortunately, all who tried to rescue them were unsuccessful. Will Milo be able to complete the quest that he unwillingly was forced into? Will he lose something dear to him? Will the two Kingdoms live in peace under the two rulers (Sarah Wusinich and Sophia Foote)? In an interview with Ms. Gordon she said that she was looking forward to working with the such a talented cast and when asked about why she chose The Phantom Tollbooth she responded by saying it was a great, fun, and cheerful play.